The game is designed for children from 2 to 6 years, from the motor skills to the basics of preschool education. The game is divided into several levels so you can choose the level at which your child will be comfortable for play. LEARNING CLOCK: Teaches children to recognize how much time on the clock, both analog and digital. The child learns not only to recognize how much time is shown, but also learns different pronunciation of time, and minutes. 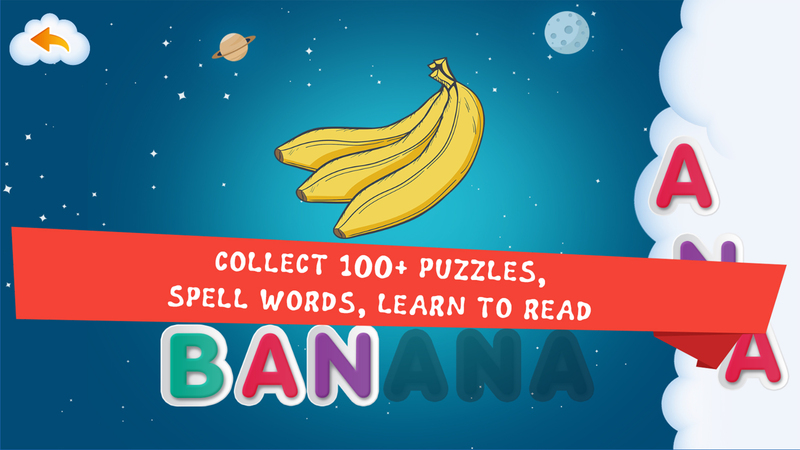 GATHER WORDS BY LETTERS: learns the alphabet, learns to spell words. For tasks completion, the child receives 20 unique awards. Each award has 10 levels, gradually gathering in a beautiful picture, your achievements are demonstrated. 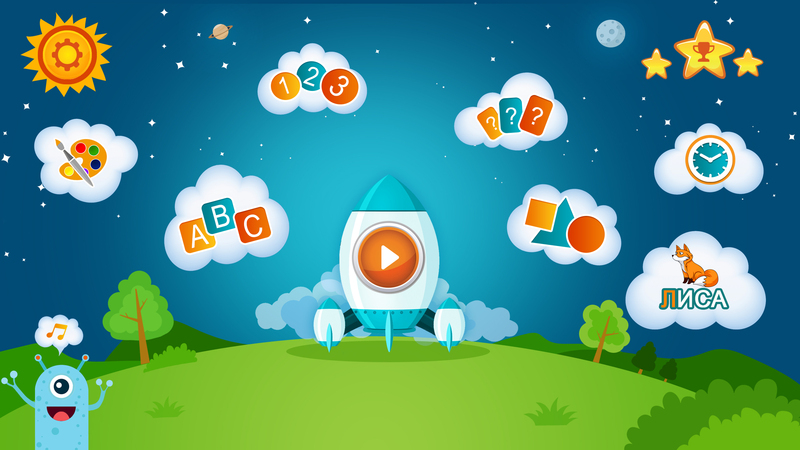 As the tasks are completed, the child earns the stars, they gradually fill the working area, turning into a pleasant background of the main menu.